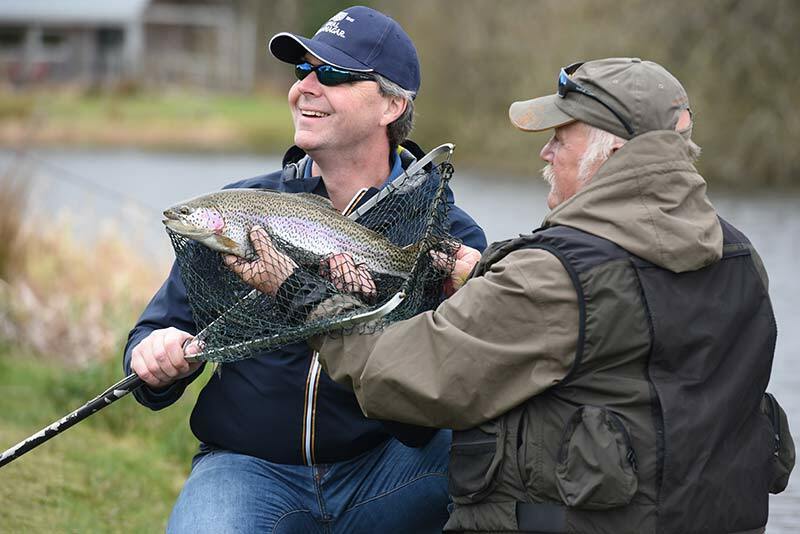 Fly fishing for wild brown trout and sea trout reaches a peak in Spring. 3km of fishing on the River Tweed is complemented by a superb and stunning private pike loch (lake) Scotland in the spring and summer offers a temperate climate and a huge variety of fishing options. 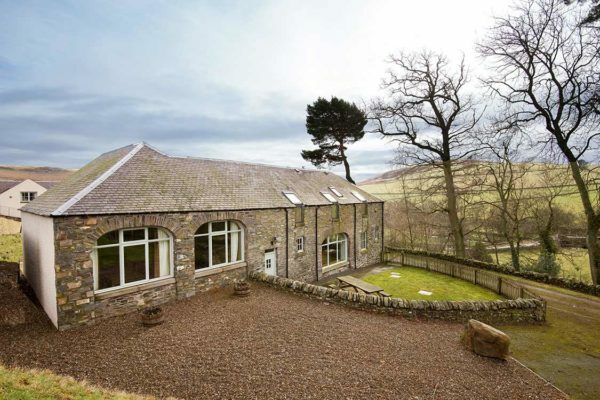 You’ll stay in the River Tweed fishing lodge, a historic house with 10 large en-suite rooms with period features, and a short stroll from the River Tweed. 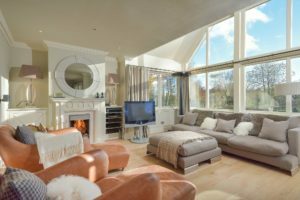 This vacation mixes fishing and touring and provides the best fishing accommodation in various locations throughout Scotland. All these fishing and touring holidays are bespoke and we shape together with an itinerary based on personal preferences and our recommendations. 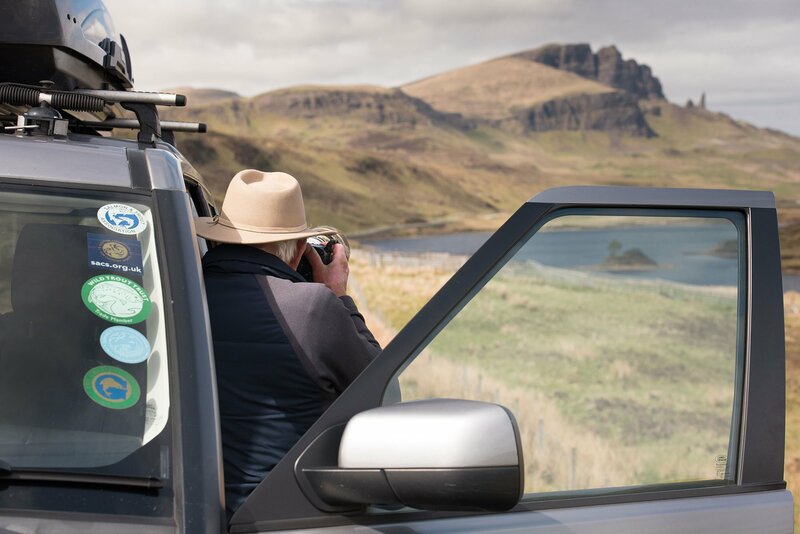 We are fully insured as a tour operator and carry Hire and Reward Insurance for transportation of guests on tours as well as transport to the fishing days. So what species are worth fishing for in Scotland in the Spring season? Trout fishing on the river peaks in Spring. Wild brown trout are packing on weight after the winter and feeding heavily on the hatches of Olives and other ephemerid flies that hatch daily. Big trout can be caught in the Spring in Scotland. 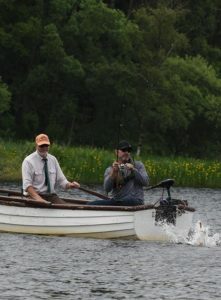 There’s also the opportunity to fish in our private pike loch for huge predatory pike, either by spin casting or fly fishing. Spring is a wonderful time to be in Scotland. The climate is temperate and mild, the fishing has hit a peak and everything is lush, green and swathed in beauty. Your accommodation is a historic home close to the river. The hospitality is warm and friendly and the public rooms boast magnificent period features. This is also an ideal fishing and touring holiday for anglers and non-angling partners. The fishing lodge does not offer evening meals, however, this gives you the opportunity to sample the many local inns and hotel restaurants within easy reach of the accommodation. For non-anglers, there is an abundance of sightseeing and touring opportunities in the area. 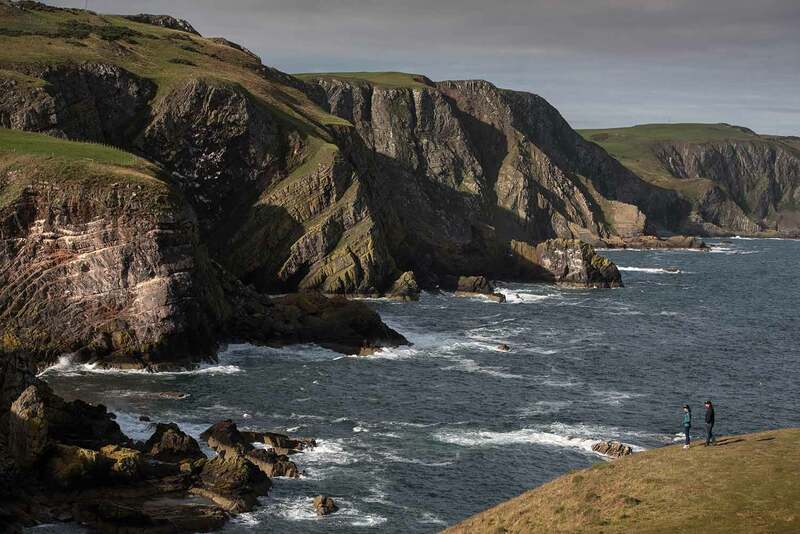 The Borders region of Scotland is steeped in folklore and history, and also a haven for wildlife and birding. 40 minutes from the Lodge is one of Scotland finest Spa’s, Stobo Castle. Edinburgh is a short scenic drive to the North. The Old Town of Edinburgh is a World Heritage Site and one of Europe’s finest cities. We can arrange for a Scottish Tour Guide to enjoy a customized tour of the city and lunch in a typical old Edinburgh pub. 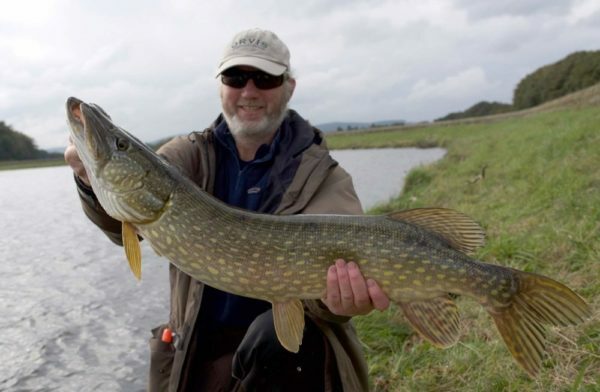 Atlantic salmon, brown trout, sea trout, grayling and pike, fishing only the best locations we have in our portfolio We have access to outstanding pike fishing in a private loch, 30 minutes north of your accommodation. A stunning loch which nestles in a basin shrouded by hills and abundant wildlife. You will fish from either a drifting boat or the shore, depending on conditions or your preference. Both methods are highly productive. Fish average 8lbs in weight and 20lb fish are not uncommon. There is a fishing lodge to lunch in, overlooking the water, with a wood burning stove, stags heads, and whisky! 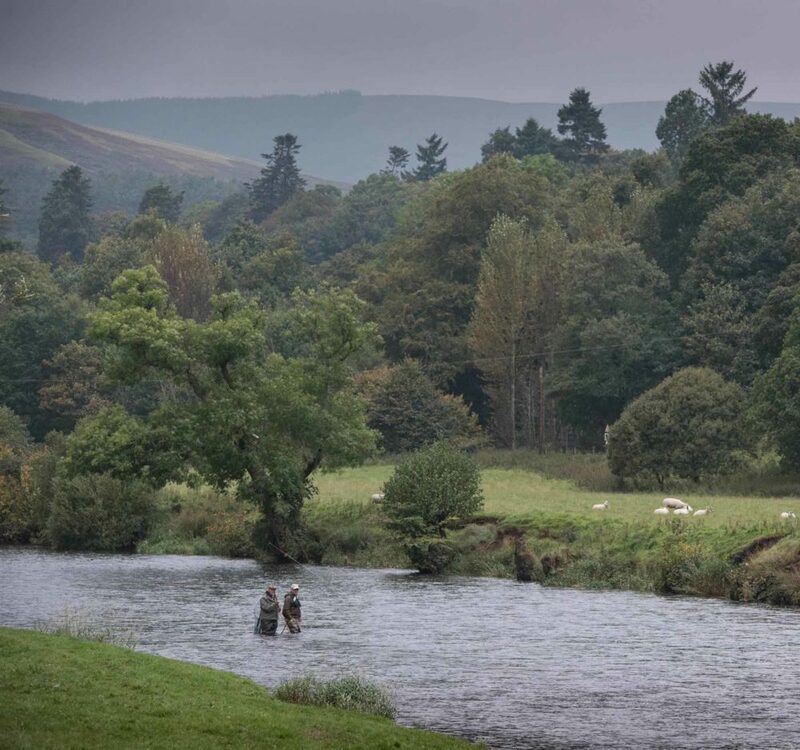 The river Tweed is one of the world’s most famous salmon rivers and the big runs of fish come in to the system in the Autumn. This stretch of river is private and a few hundred yards from your lodge. Fishing here in October and November present you with a very realistic chance of catching a Scottish Atlantic Salmon. Remember your guide will photograph everything! The beautiful Grayling, the fourth game fish and the lady of the stream. Underestimate her power at your peril! 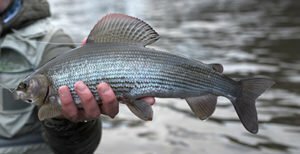 Our stretch of the Tweed offers world class grayling fishing, and has consistently produced specimen fish close to the UK record. Its just a matter of time! Are you ready for the challenge? We also offer Tenkara fishing for these magnificent fish. This is a unique chance to combine the four best salmon rivers in Scotland on one memorable vacation. You will fish the River Tweed, River Tay, River Spey and River Dee. All four rivers offering a different experience. 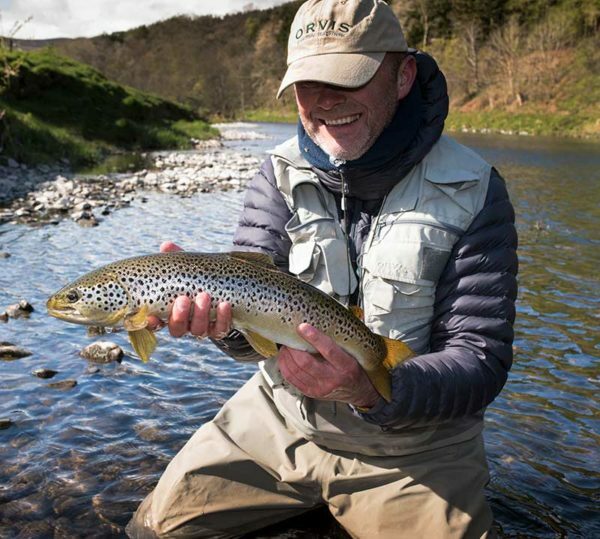 You will meet local guides and gillies, learn to read the rivers and be given superb equipment, waders and advice. 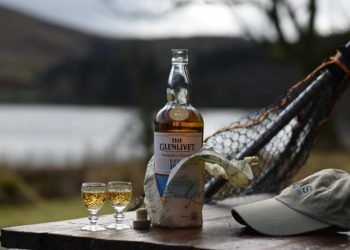 One of the best fishing holidays in Scotland which visits the some of the finest venues in our portfolio. Lunch in unique outdoor locations. Sample fine local food. Discover the best of Scotland, away from tourists. Trace ancestry and breathe in our stunning landscapes, folklore, and heritage. Play on some of the world’s best golf courses. Connect with nature. Delivered by a team of fishing guides, tour guides, photographers and event planners. 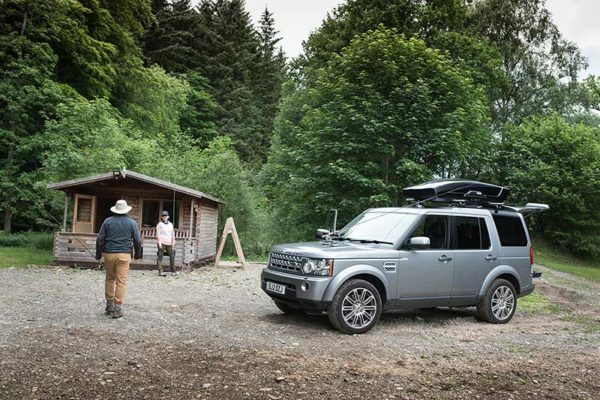 Are you ready for the ultimate sporting challenge in Scotland? Starting at dawn and focused on the target of a stag, salmon and brace of grouse in one day. To complete a Sporting Macnab is the ultimate acheivement in Scotland. Time of year Sept – Oct, dedicated guide/ gamekeeper and pro-photography. Assistance with gun permit application.